Keep both student minds and devices charged with a versatile, multipurpose charging cart. 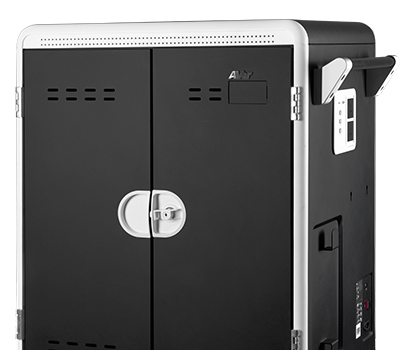 S42i+ has the latest technology to manage large 1 to 1 classroom environments while providing the perfect mobile platform to engage with students from anywhere in the classroom. 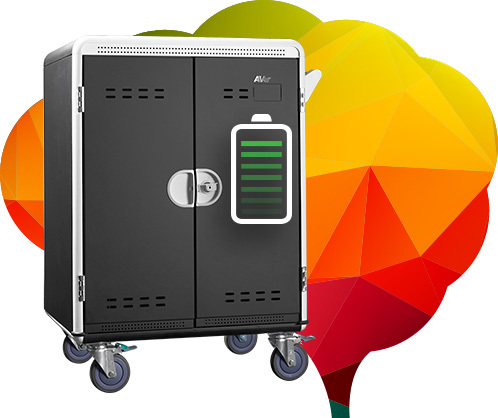 Uniquely customize S42i+ charging cart to create the best classroom environment that optimizes student learning. Manage and charge up to 42 Chromebooks, laptops, and tablet devices. 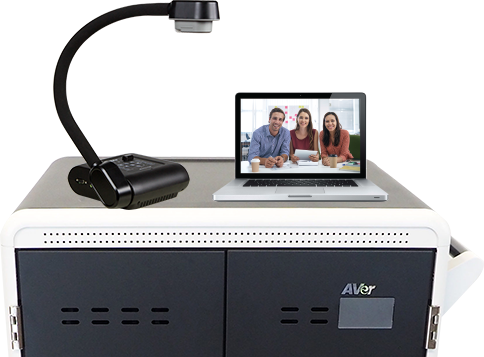 When devices are fully charged, S42i+'s new adaptive intelligent charging system intuitively knows when to stop charging and sends more power to external outlets allowing use for additional technology such as a document camera, printer, or any other teaching tool. Combine intuitive technology with a smooth surface and slide-out shelves to create the ultimate platform to integrate all classroom activities! Use an AVer document camera with S42i+ as a mobile surface to freely teach and showcase student work. The easiest way to have everything in its place is to have a place for everything. 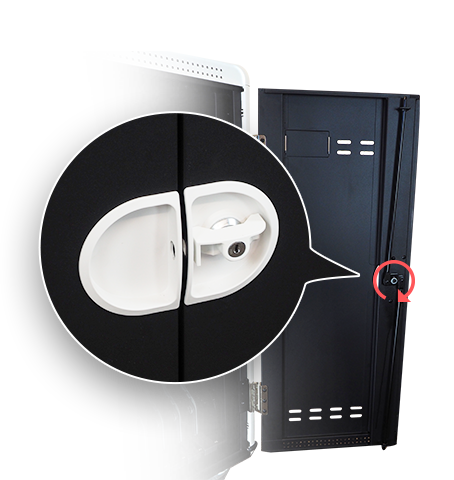 Each S42i+ divider is specially designed with a cable holder and chord lock to keep cables secured and organized. 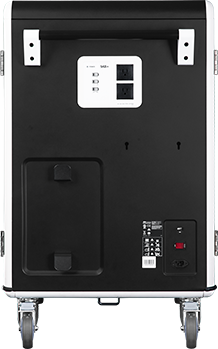 Whether protecting devices from falling out during transportation or from theft, S42i+ provides optimum security with its front and rear 3-point locking doors (with keys included). Classrooms needing more peace of mind also have the option to add on an additional padlock (not included). Support DeviceLaptop / Chromebook / Tablets up to 14"